Hi ladies, it’s Anna from Fash Boulevard again. One of my favorite things about summer is that there’s always a reason to be outside. 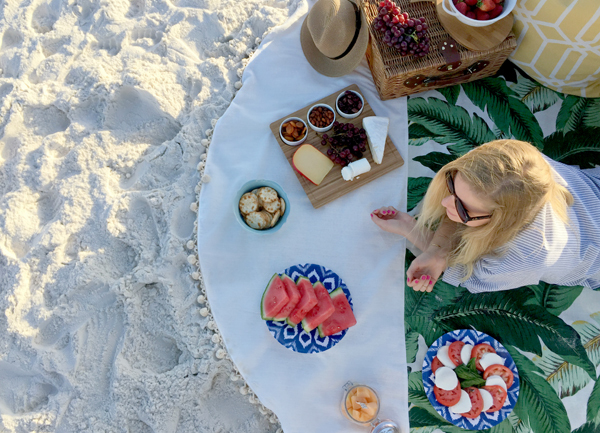 Ever since I was a kid, I’ve always yearned for one of those classic picnic experiences you see in movies, or nowadays, sprinkled across Pinterest. To me, a picnic will always be one of those precious American pleasures. Seeing how July is National Picnic Month, I can’t think of a more perfect time to pack up your lunch or dinner and take it outdoors. 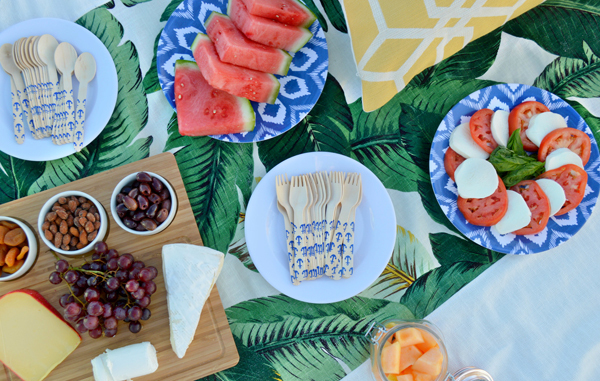 So, in an effort to help add a little fresh air to your next meal, I’ve put together a list of picnic essentials that will help take the work out of your next picnic prep. 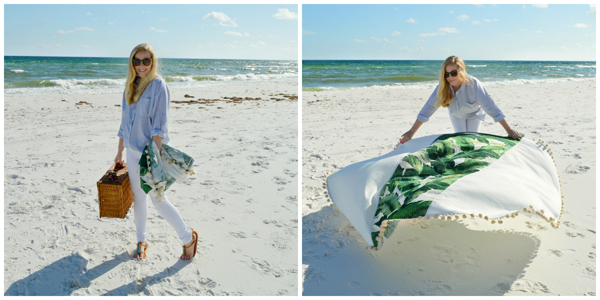 The right blanket can make or break a picnic’s vibe. Comfort is key, so keep in mind that you want to choose a blanket with a soft texture and an appealing design. Also, if you think the ground may be wet, be sure to pack a tarp to go under your blanket. 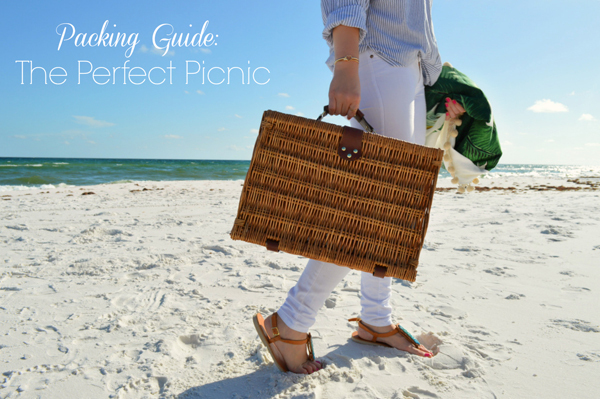 A wicker basket will always evoke that classic picnic vibe, but if you don’t have one, a backpack or a few plastic bags will work just as efficiently. 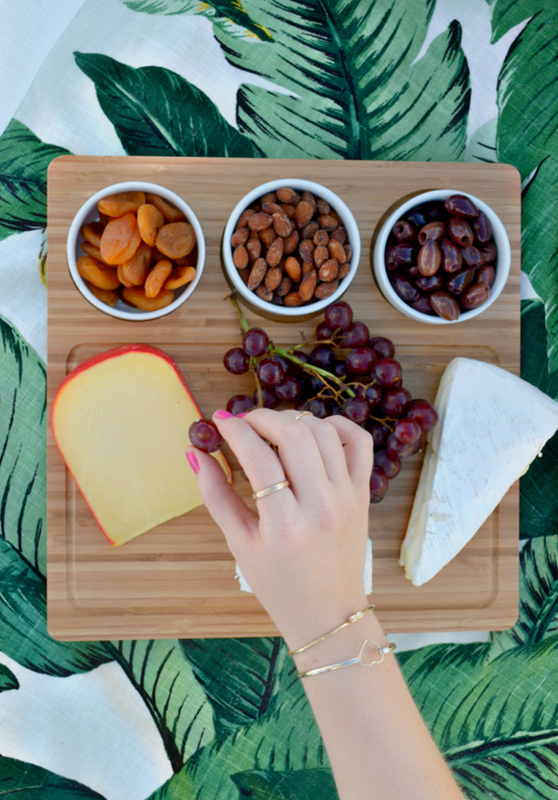 I love entertaining sets that offer spaces for a variety of cheeses as well as olives, nuts and dried fruits. Space is usually an issue when picnicking, so fitting more onto less is always a bonus. Sitting on the ground isn’t exactly the epitome of luxury comfort. That said, a few nice big pillows will make lounging a lot more enjoyable, while adding a little style to your picnic. 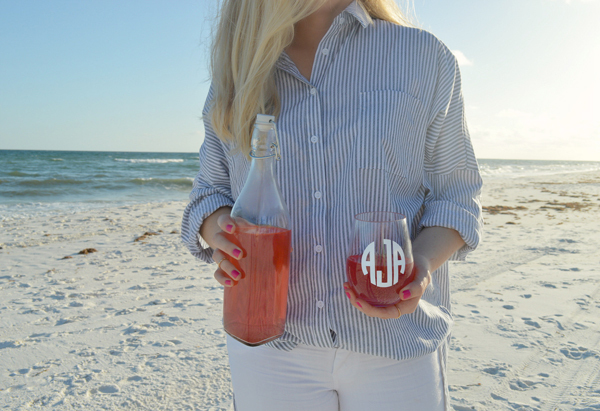 This nifty invention makes outdoor wine drinking a heck of a lot easier. 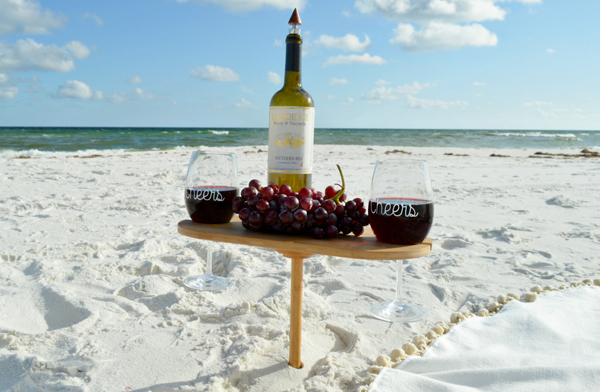 It takes little to no effort to secure into the ground and it’ll keep your wine glasses out of the sand when picnicking at the beach. I’m telling you, ladies—this one is a total game changer. It’s ultra important to pack a cooler to ensure your food is kept at the proper temperature. Items to keep cold include salads with mayonnaise-based dressings or eggs in them, cheese, poultry and/or meat and drinks. If you’re entertaining friends or trying to impress that special someone, leave the boring plastic utensils at home and choose something with a splash of personality. 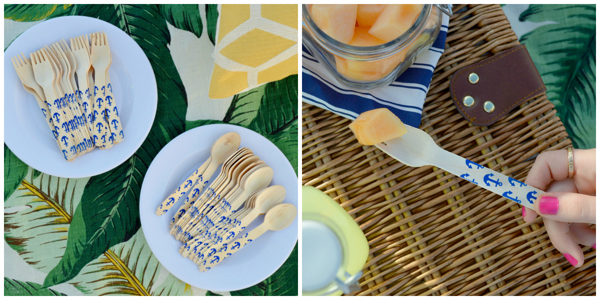 Oh, and bring extras—this picnic essential always seems to disappear fast. Also, if you’re planning to prep food on site, be sure to bring a cutting board and at least one sharp cutting knife. Lets face it, a lot of things can go wrong in transit. 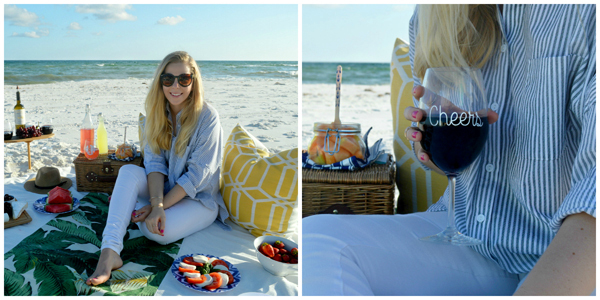 So whether you’re sipping wine or water, think of shatterproof glasses as a picnic safety precaution. If you plan on lounging for a few hours, opt for a light menu with seasonal fruits, veggies and an array of cheeses. I like to choose items that my guests can graze on throughout the entire duration of the picnic. 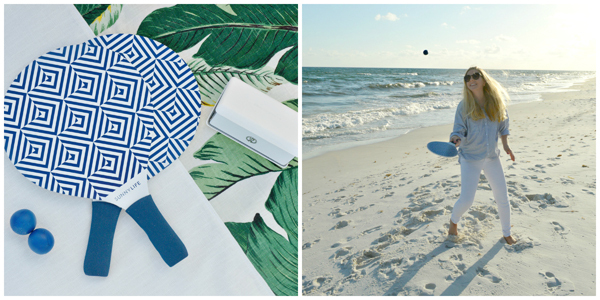 Whether you’re picnicking with kids or adults, outdoor games are always fun. From football to horseshoes or even simply flying a kite, having a few forms of entertainment beyond food and beverages is always a good idea. When picnicking with larger groups, I always like to bring a portable speaker like this one from InnoFlask, $129.95. If you don’t plan to have a picnic table, keep in mind that you will need trays or hard surfaces to place drinks on. 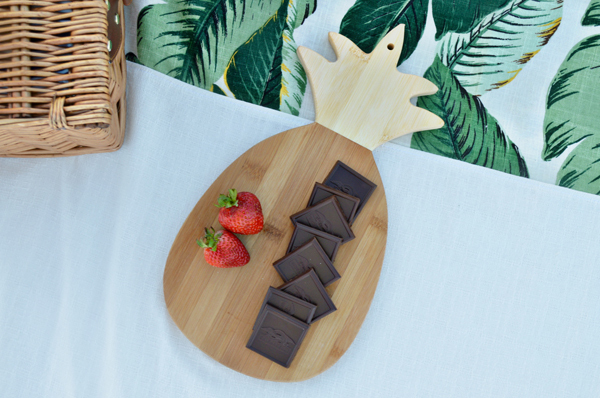 I suggest using something that sticks with the outdoor theme, like a rustic wood slab serving tray. To make clean up easy, bring along paper towels to wipe down dishes, plastic bags for left over food and a trash bag to help make clean up quick and painless. What are some of your picnic essentials?